CRITFC biologists surveying juvenile salmon numbers at the Hanford Reach of the Columbia River. 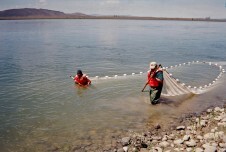 The four Columbia River treaty tribes have always embraced a tradition of stewardship for the salmon and the river. Today, they are doing virtually everything in their power to restore salmon in the streams and rivers on-reservation and in their ceded areas. The member tribes are among the region’s strongest advocates for changes in Columbia River hydrosystem operations. Whether you buy Columbia River Indian-caught salmon directly from fishers, from the grocery store, or order it in restaurants, you are saying yes to salmon produced and harvested locally from the Columbia River watershed. It’s also an environmental choice, as our salmon are sustainably harvested. A certain number are allocated for harvest, while the rest are allowed to return to spawning areas. 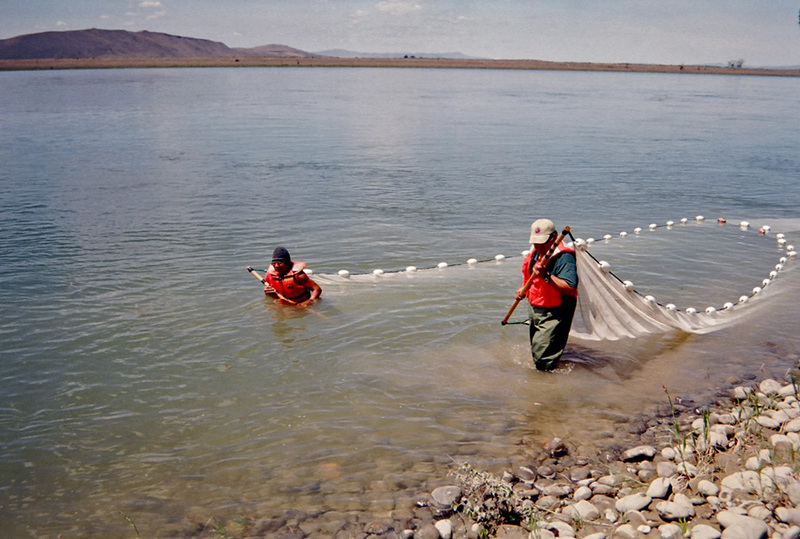 Regulations, such as limits on fishing days, locations, and gear, are based on past salmon harvest and migration data and current fish counts. The catch is also monitored and sampled for biological information. As long as humans continue to appreciate and rely on Columbia River salmon, there is reason to protect the river and the fish that it supports. 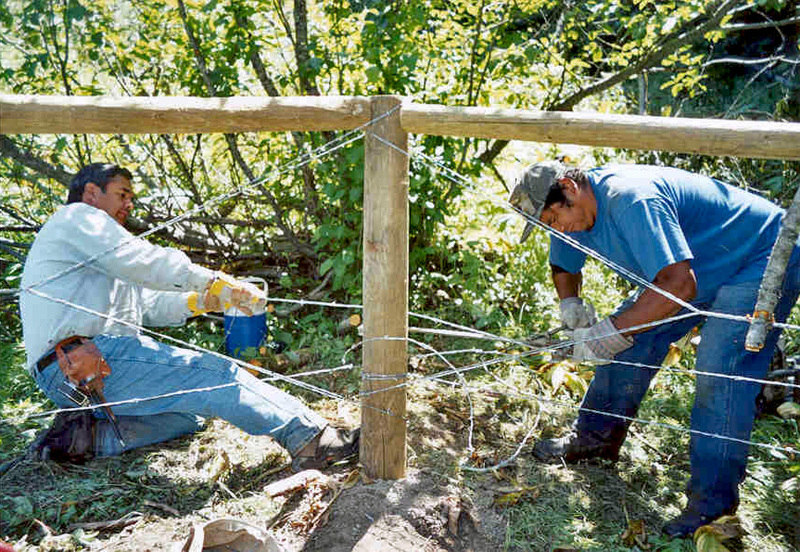 Nez Perce Fisheries workers building fences to keep cattle out of streams to protect water quality for salmon. 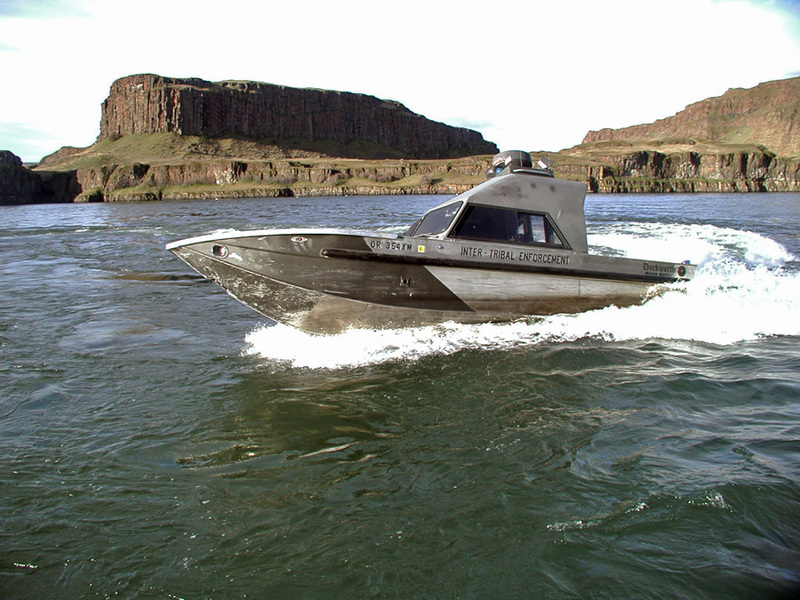 CRITFC Enforcement patrols the Columbia River from Bonneville to McNary dams to make sure that the salmon season complies with tribal harvest limits.